The legal grounds for processing data are provided in Article 6(1)(f) GDPR. Our legitimate interest follows from the above purposes for which we collect data. Under no circumstances do we use the data collected for the purpose of making inferences about you as a person. If you have questions of any kind, we offer you the option of contacting us using a form provided on our website. To use the form, you must enter a valid email address so that we know whom the enquiry is coming from and so that we can respond to it. You may enter additional information voluntarily. When personal data is processed for the purpose of contacting us, it is done in accordance with Article 6(1)(a) GDPR on the basis of the consent you have granted voluntarily. The personal data collected by us so that you can use the contact form will be deleted automatically once your enquiry has been resolved. In addition, we also use temporary cookies to optimize user-friendliness, and these are stored on your device for a specified period of time. If you visit our website again to use our services, they will automatically recognize you as returning and detect the information and settings you have provided so that you do not need to enter them again. The data processed using cookies is necessary for the listed purposes in order to safeguard our legitimate interests and those of third parties pursuant to Article 6(1)(f) GDPR. Most browsers accept cookies automatically, however you can configure your browser so that it does not store cookies or always tells you before setting a cookie. If you disable cookies completely, though, you may not be able to use all the features of our website. We use the tracking tools listed below on the basis of Article 6(1)(f) GDPR. We use tracking tools to ensure the needs-based design and ongoing optimization of our website. Secondly, we use these tracking tools to record statistics on the use of our website and to evaluate it for the purpose of optimizing our offer for you. These interests of ours are deemed legitimate for the purposes of the above regulation. Each tracking tool provides information about its purpose for processing data and the categories of data processed. - To obtain access to and information about the personal data concerning you that we process, in accordance with Article 15 GDPR. In particular, you can request information about the purposes for processing, categories of personal data, categories of recipients to whom your data was/is disclosed, planned retention period, existence of rights to rectification, erasure, restriction of processing or objection, existence of a right to complain, origin of the data if it was not collected by us and existence of automated decision-making, including profiling and in that case meaningful information about those specific processes. - To obtain without undue delay the rectification of inaccurate personal data concerning you that is stored by us, in accordance with Article 16 GDPR. - To obtain the erasure of your personal data that is stored by us if its processing is not necessary for exercising the right of freedom of expression and information, compliance with a legal obligation, reasons of public interest or the establishment, exercise or defence of legal claims, in accordance with Article 17 GDPR. - To obtain restriction of the processing of your personal data pursuant to Article 18 GDPR if you contest the accuracy of the data, the processing is unlawful, you oppose its erasure and we no longer need the data, you require it for the establishment, exercise or defence of legal claims; or you have objected to processing pursuant to Article 21 GDPR. - To obtain your personal data that you have provided to us in a structured, commonly used and machine-readable format or to transmit that data to another controller, in accordance with Article 20 GDPR. - To withdraw the consent you have previously given to us, in accordance with Article 7(3) GDPR. This will mean that we will in future not be permitted to continue processing the data for which the consent was granted. - To lodge a complaint with a supervisory authority in accordance with Article 77 GDPR. Generally you can contact the supervisory authority with jurisdiction over your habitual residence or place of work or over our company´s registered office. If your personal data is processed on the basis of legitimate interests as defined in Article 6(1)(f) GDPR, Article 21 GDPR provides you the right to object to the processing of your personal data if your particular situation gives you the grounds to do so or if you are objecting to direct marketing. In the latter case, you have a general right to object with which we will comply without you needing to provide a description of any special situation. 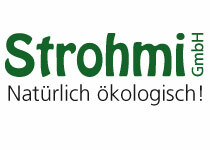 If you would like to utilize your right to withdraw consent or to object, an email to the following address will be sufficient: info@strohhalme-strohmi.de. When you visit our website, we use common SSL technology (Secure Sockets Layer) in connection with the highest level of encryption supported by your respective browser. Usually this is 256-bit encryption [please check]. If your browser does not support 256-bit encryption, we will instead make use of 128-bit v3 technology. You can see whether a page on our website is loaded over an encrypted connection if the key or padlock symbol on the bottom status bar of your browser is depicted as closed. We have also implemented appropriate technological and organizational security measures to protect your data against accidental or intentional manipulation, partial or complete loss, destruction and unauthorized third-party access. Our security measures are enhanced on an ongoing basis to reflect technological developments..